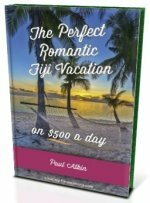 Coming to Fiji, also known as paradise? Discover these 10 amazing things to do in Fiji from picture perfect day cruises to diving with bull sharks! 5 Things you can do anywhere! No.7, island hop the Mamanuca and Yasawa Island groups. Most come to Fiji for a relaxing getaway, so these first 5 you can do pretty anywhere, it doesn't matter where your bure is! Exploring Fiji on water is an experience suited for almost anyone. With picture perfect islands, gorgeous diving and snorkelling, and beautiful food, a Fiji cruise should be on most people's itinerary. Cruising Fiji ranges from short dinner cruises to 7-night stays. Visit our hub Cruise Fiji section for more. If you're a keen diver, then you're going to love Fiji. Known as the 'Soft coral capital of the world', you can access quality dive spots from almost anywhere in Fiji. Visit our hub Fiji Diving section for more. For an appreciation of how much we do have, a cultural visit to a village, church, or school will give you a reminder that we shouldn't take things we have for granted. Check with your guide for the etiquette of giving donations. You've explored Fiji on water, now to explore on land. 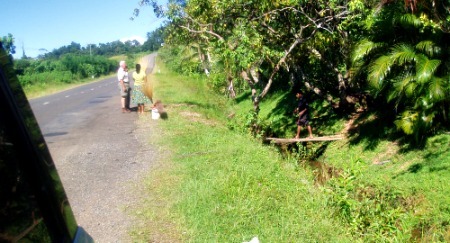 The main island of Viti Levu gives you the most options and by far the better roads. Although you probably wouldn't think so when first going around the 'mainland'. Visit our Car Hire Fiji section for more. You'll have no trouble accessing this activity, although you might have trouble feeling your face if you have too much. The muddy looking Kava is native to the South Pacific islands and is prepared in a big bowl and drunk with a half a coconut shell. All resorts worth their white sand will have a kava ceremony at least weekly. 5 Specific Things to do in Fiji! Fiji is known for many things, beautiful islands, stunning underwater scenery, and 'Fiji time' to name a few. So, I tried to pick out the most unique to Fiji, including stories of their cannibalistic past! If you are looking for things to do in Fiji on your layover at Nadi Airport, this is a good start. Sabeto Springs has a series of hot springs including a mud pool. Cheap taxis and even cheaper local buses gets you there. For this and more stuff to do on your layover (or if you're staying in the Nadi region), visit our 5 Things to do in Nadi section. It's easier than you think, and even more cooler than you imagine! The 'Yasawa Flyer' has a daily route that goes to almost 20 beautiful islands and over 30 resorts on it's loop from Denarau Marina. You can hop on and off whichever islands you get the hankering for! Fiji's cannibalistic past is quite legendary including the tomb of Ratu Udreudre who made the Guiness Book of records for the most notorious cannibal, at over 872 well eaten victims. The Naihehe Caves near Sigatoka, with a good guide, gives you a glimpse of how they treated the enemy once defeated in battle. For this and more around Sigatoka on the Coral Coast, visit our 5 Things to do around Sigatoka Fiji section. The Suva Municipal Market is a relaxing and friendly stroll around checking out all the local products including where you can get your stash of kava. If you're passing through or staying in Suva, check this out and more on our 5 Things to do in Suva section. One of the few, if not only, places in the world that this happens. Off the southern coast of the main island lies Beqa Lagoon and Shark Reef. You dive down with 2 'shark feeders' and hide behind a rock while they bravely feed anywhere up to 8 types of sharks including the massive bull sharks. Your adrenalin perhaps will not beat any faster ever. Check out the shark feeding video in our Island Diving in Fiji section.